All posts in "How to Make"
A very interesting question that I have been getting quite often about new houses is how to feel more comfortable inside. Well, I understand why people have this question because moving to a new city or country isn’t easy and dealing with a new home that isn’t feeling like a real home can be tough. That’s why I wanted to create this article to show you some tips that will help you make your home feel welcome. This will happen to every new home that you buy, you will just not have the same feeling when you walk into the home because you are too used to your old home. So, one of the first and simplest advice that I can give you is to wait it out. You will start feeling more and more comfortable in your new home after some time. Now, if you don’t want to wait that long and you want to feel comfortable right now, there are some other solutions. If you happened to move into a home that is already decorated, and you don’t have the comfort feeling of a home, then the solution is to redecorate the home. Do whatever it takes to make you feel more comfortable. For some people, this means only moving some furniture around the home, and for others, it means buying new furniture that reminds them of their old house. For this, you don’t need to hire a professional because they don’t know what will make you feel comfortable, it is crucial that you do the decorating yourself this time. If you happened to have a favorite color, maybe try and paint the walls into that color because for some people what makes the uncomfortable feeling worse is the actual wall color. If the redecorating doesn’t help or you are still not satisfied, there is one more solution left and that is to get some of the old furniture that you have in your old house and place it inside the new home. Most people are attached to one or two items from the other home. If you have a favorite sofa or chair, make sure to put it in the new home because it can make a huge difference. In some cases, just placing your own items around the house, like hanging pictures on the walls is a huge help. When you see those pictures, you will immediately feel like home and you won’t even notice the big change. Of course, you cannot completely feel comfortable the same day you move to a new home, but after few weeks, that feeling will fade away and you will call your new home the real home. 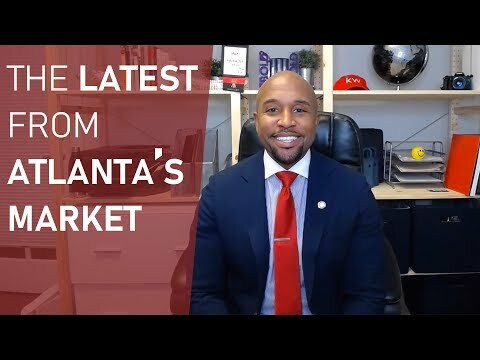 Copyright text 2018 by Kevin Sells Atlanta.